The 115km joint BRTS network, planned for Pimpri-Chinchwad and Pune, will be the largest BRTS network in Asia, when it becomes operational. Pune has been selected as one of the cities in the country for the Union Government’s 100-city Smart Cities project. 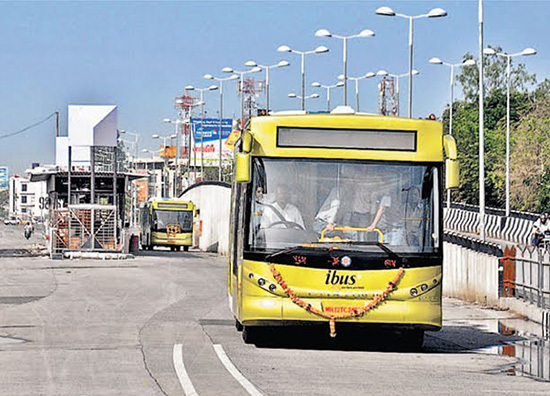 The Pimpri-Chinchwad component of the project will have 45km of the BRTS, which would include four routes, and will be funded by the JNNURM and Sustainable Urban Transport Project (SUTP) programme, in partnership with Global Environment Facility (GEF), World Bank and United Nations Development Programme. This announced by the Ex- Officio Joint Secretary, Ministry of Urban Development, Government of India, SK Lohia, in his keynote address at a recent seminar organized by the Pimpri Chinchwad Municipal Corporation and Institute for Transportation and Development Policy on “Sustainable Transport for Pimpri Chinchwad”.